Get an AFFORDABLE! 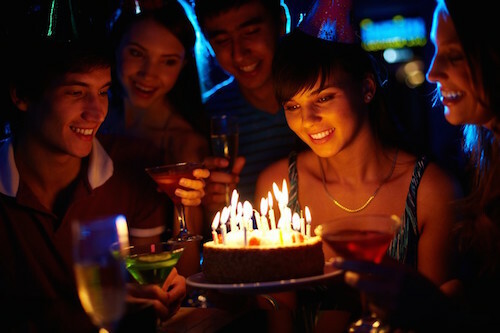 Birthday Limo Rental in Los Angeles! No party is a party without a stunning vehicle to transport you to your desired destination in a luxurious and safe way. Los Angeles Limousine Service provides stunning Birthday transportation services to ensure you and your party gets to their desired location in comfort, peace, and luxury! Choose us as your primary source of transportation for any event and we guarantee you will not be disappointed. You will fall in love with our company from the moment you hop into one of our luxurious stretches. Our professional chauffeurs will ensure you and your guests needs are fully satisfied. Are you ready to party before arriving to the actual party? If you choose to rent one of our beautiful party buses you get to pre-game in these spacious limousines before and after arriving at your destination. These buses are so amazing you might not want to leave to your actual venue! Theses stunning vehicles are loaded with amazing features such as disco floors & roofs, multi color laser lighting, store lights, fog machines, high definition flat screens, fully stocked bars, and more! Rest assured when you book with LA Limo you are booking with one of the highest rated limousine companies in Los Angeles. The way our company’s services our clients needs is like no other. We will make booking your next limo a breeze and we also offer multiple birthday limousine specials in Los Angeles so don’t hesitate, call us today for a free quote! We offer a luxurious fleet of over twenty vehicles such as the rolls Royce phantom limo, Maybach limo, s550 stretch, Cadillac Escalade Limousine, Hummer Limo, and more! Give is a call today at (310)775-3607 and experience the difference of a truly reliable, affordable and luxurious limousine company.